I found this makeover that use vintage clothes and turned them into their pillows. It makes we want to go thrifting for old clothes. 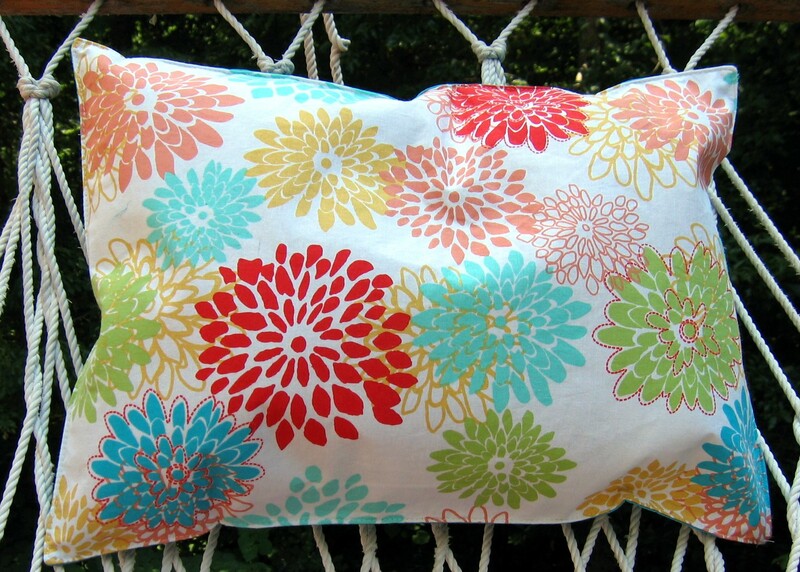 Click here to see what the clothes looked like that became these pillows. Here is a link to a tutorial of how to make an envelope style pillow cover it is by Tiny Decor. Isn't her fabric cute? Ruffled Pillow Tutorial free from a Etsy Blog. She used felt but I think you could get away with other types of fabric. Maybe you could combine the ruffle tutorial and the envelope tutorial. This is one of the most unique pillow ideas I have seen from Design Sponge. The black one is made with fabric paint and tape. I'm not sure how comfy it would be; but it does give a different spin on the applique process. Here is a great idea from Southern Living using Placemats. I wonder if you filled them with non-crinkly plastic bags if you could use them outside? The perch may need some pillows this fall. Speaking of non-crinkly plastic bags I found this really cute idea yesterday while blog hopping. Go check out The Red Chair cute tutorial for outdoor pillows. 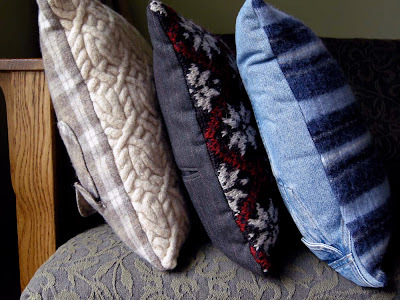 Pillows must be on my mind this week because a few days I posted about this creative way to make pillows check it out here. Did you make your own pillows? I want to see them.